These are some of the best dual Camera Smartphones till date. The Dual camera Phones have now become quite a common standard. There are so many High-end Dual Camera phones out there, so which one is do you think is best suited for you? Please Read through this article to find more. 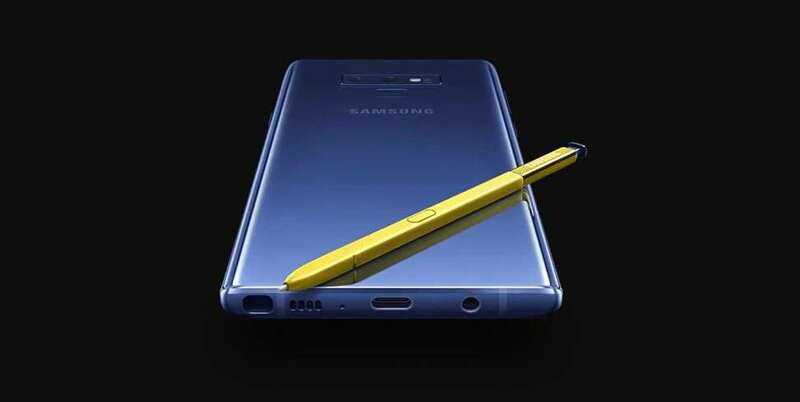 Samsung Galaxy Note 9 was released in the market in May 2018. The front camera of this phone is has a single 8MP camera and records video at 1440p@30fps. and The back part has a Dual Camera- 12MP+12MP that captures video with 2x Optical Zoom and has a support for auto HDR, LED flash and panorama. The 6.4 inches tall screen has the resolution of 1440 X 2960 pixels in 18.5:9 aspect ratio with approximately 516 PPI density. The screen-to-body ratio is about 83.4 %. The CPU clocks at 2.8 GHz with the aid of a Qualcomm Snapdragon 845 processor in combination with the 8-core CPU and graphics accelerator Adreno 630 GPU. In dimension, the phone measures 161.9 x 76.4 x 8.8 mm and weighs about 201 grams. It does have a support for the hybrid card slot that uses two sim slots and the memory can be extended up to 512 GB and you’ll also have three internal storage options- GB, 4/6 GB RAM or 32 GB, 3 GB RAM. They have used a Li-ion 4000 mAh battery. The connectivity is enabled with Wi-Fi 802.11 b/g/n, WiFi Direct, hotspot. The operating system used is Android 8.1 Oreo. HTC U12+ was released in the market in June 2018. The front camera of this phone is has a single selfie camera of 8MP The back part has a Dual Camera- 12 MP( f/1.8, 1/2.55)+16MP(f/2.6, 1.0µm) respectively with a 2X optical zoom and a dual-tone LED flash, auto HDR .The 6.0 inches tall screen has the resolution of 1440 x 2880 pixels , pixels in 18:9 aspect ratio with approximately 537 PPI density. The screen-to-body ratio is about 92.9 %. 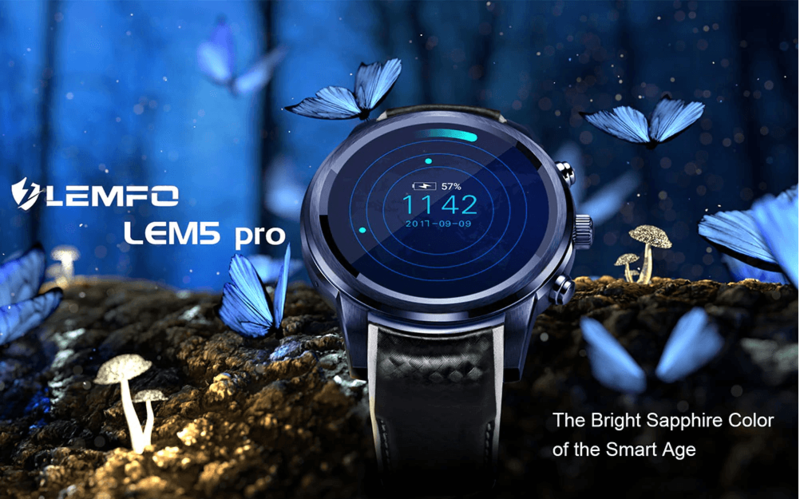 The CPU clocks at 2.8 GHz with the aid of a Qualcomm Snapdragon 845 processor in combination with the 8-core CPU and graphics accelerator Adreno 630 GPU. In dimension, the phone measures 156.6 x 73.9 x 8.7 mm and weighs about 188 grams. It does have a support for the hybrid card slot that uses two sim slots and the memory can be extended up to 512 GB and you’ll also have one internal storage options-64/128 GB, 6 GB RAM They have used a Li-ion 3500 mAh battery.Wi-Fi 802.11 a/b/g/n/ac, dual-band, Wi-Fi Direct, DLNA, hotspot,bluetooth 5.0 and GPS. The operating system used is Android 8.1 Oreo. Huawei P20 was released in the market in April 2018. The front camera of this phone is has a single selfie camera of 24 MP( f/2.0, 26mm) featuring Leica optics, LED flash, HDR, panorama. The back part has a dual Camera- 20MP( f/1.8, 27mm (wide))+12MP( f/1.6, 1/2.7) Camera.The 5.8 inches tall screen has the resolution of 1080 x 2240 pixels in 18.7:9 aspect ratio with approximately 429 PPI density. The screen-to-body ratio is about 80.4 %. The CPU clocks at 2.4 GHz with the aid of a Hisilicon Kirin 970 in combination with the 8-core CPU and graphics accelerator Mali-G72 MP12.In dimension, the phone measures 149.1 x 70.8 x 7.7 mm and weighs about 165 grams. It does not have a support for the hybrid card slot but you’ll also have three internal one options- 128 GB, 4 GB RAM and it does not have a 3.5 mm audio jack.They have used a Li-ion 3400 mAh battery.The connectivity feature includes Wi-Fi 802.11 a/b/g/n/ac, dual-band, Wi-Fi Direct, DLNA, hotspot,bluetooth 4.2 and GPS. The operating system used is Android 8.1 Oreo. Samsung Galaxy S9+ Pro was released in the market in February 2018. The front camera of this phone is has a single selfie camera of 8MP, f/1.7, 25mm (wide) featuring Dual video call, Auto-HDR that records video at 1440p@30fps. The back part has a dual Camera- 12MP(f/1.5-2.4, 26mm (wide)+12MP( f/2.4, 52mm (telephoto)) Camera..The 6.20 inches tall screen has the resolution of 1440 x 2960 pixels in 18.5:9 aspect ratio with approximately 529 PPI density. The screen-to-body ratio is about 84.2 %. The CPU clocks at 2.8 GHz with the aid of a Snapdragon 845 in combination with the 8-core CPU and graphics accelerator Mali-G72 Adreno 630 .In dimension, the phone measures 158.1 x 73.8 x 8.5 mm and weighs about 189 grams. It does not have a support for the hybrid card slot but you’ll have two internal storage options-256 GB, 8 GB RAM or 128 GB, 6 GB RAM. They have used a Li-ion 3500 mAh battery.The connectivity feature includes Wi-Fi 802.11 a/b/g/n/ac, dual-band, Wi-Fi Direct, DLNA, hotspot,bluetooth 5.0 and GPS. The operating system used is Android 8.0 Oreo. Sony Xperia XZ2 Preimum was released in the market in July 2018. The front camera of this phone is has a single selfie camera of 13 MP (f/2.0, 22mm (wide)) featuring 5-axis gyro-EIS that records video at 1440p@30fps. The back part has a dual Camera- 19MP(f/1.5-2.4, 26mm (wide)+12MP( f/2.4, 52mm (telephoto)) Camera..The 5.8 inches tall screen has the resolution of 3840X2160 pixels in 16:9 aspect ratio with approximately 765 PPI density. The screen-to-body ratio is about 72.4 %. The CPU clocks at 2.7 GHz with the aid of a Snapdragon 845 in combination with the 8-core CPU and graphics accelerator Adreno 630 .In dimension, the phone measures 158 x 80 x 11.9 mm and weighs 236 grams. It does have a support for the hybrid card slot that uses two sim slots and the memory can be extended up to 512 GB and you’ll also have one internal storage options-64 GB, 6 GB RAM. There is no 3.5 mm audio jack. They have used a Li-ion 3540 mAh battery.The connectivity feature includes Wi-Fi 802.11 a/b/g/n/ac, dual-band, Wi-Fi Direct, DLNA, hotspot,bluetooth 5.0 and GPS. The operating system used is Android 8.0 Oreo. One Plus 6 was released in the market in May 2018. The front camera of this phone has a single selfie camera of 16MP featuring auto HDR that records video at 1080p. The back part has a dual Camera- 16MP(1.7, 25mm (wide))+12MP( f/1.7, 25mm (wide)) Camera..The 6.28 inches tall screen has the resolution of 1080X2280 pixels in 19:9 aspect ratio with approximately 402 PPI density. The screen-to-body ratio is about 83.8 %. The CPU clocks at 2.8 GHz with the aid of a Snapdragon 845 in combination with the 8-core CPU and graphics accelerator Adreno 630 . In dimension, the phone measures 155.7 x 75.4 x 7.8 mm and weighs 177 grams in hand. It does not have a support for the hybrid card but you’ll also have two internal storage options-128/256 GB, 8 GB RAM or 64 GB, 6 GB RAM. They have used a Li-ion 3300 mAh battery.The connectivity feature includes Wi-Fi 802.11 a/b/g/n/ac, dual-band, Wi-Fi Direct, DLNA, hotspot,bluetooth 5.0 and GPS. The operating system used is Android 8.1 Oreo. LG G7 ThinQ was released in the market in May 2018. The front camera of this phone has a single selfie camera of 8 MP(f/1.9, 26mm (wide)) that records video at 1080p. The back part has a dual Camera- 16MP(f/1.6, 30mm (wide))+16MP(f/1.9, 16mm) Camera.The 6.10 inches tall screen has the resolution of 1440 x 3120 pixels pixels in 19.5:9 aspect ratio with approximately 564 PPI density. The screen-to-body ratio is about 82.6 %. The CPU clocks at 2.8 GHz with the aid of a Snapdragon 845 in combination with the 8-core CPU and graphics accelerator Adreno 630 .In dimension, the phone measures 153.2 x 71.9 x 7.9 mm and weighs 162 grams in hand. It does not have a support for the hybrid card but you’ll also have two internal storage options-128 GB, 6 GB RAM or 64 GB, 4 GB RAM and it does have a 3.55 mm audio jack.They have used a Li-ion 3300 mAh battery.The connectivity feature includes Wi-Fi 802.11 a/b/g/n/ac, dual-band, Wi-Fi Direct, DLNA, hotspot,bluetooth 5.0 and GPS. The operating system used is Android 8.1 Oreo. Xiaomi Mi 8 was released in the market in June 2018.The front camera is about 20 megapixels and allows 30 FPS video recording. There is also an infrared face recognition coming with the camera. The back part has two 12 megapixel lenses with 2x optical zoom configuration supported. These camera models have AI features integrated.The 6.21 inch super AMOLED display is quite good with 2248 x 1080 px resolution in 18.7:9 format in 402 PPI.The screen-to-body ratio is about 83.8 %. There is also an infrared face recognition coming with the camera. The phone runs operating system based on Android 8.1 Oreo. 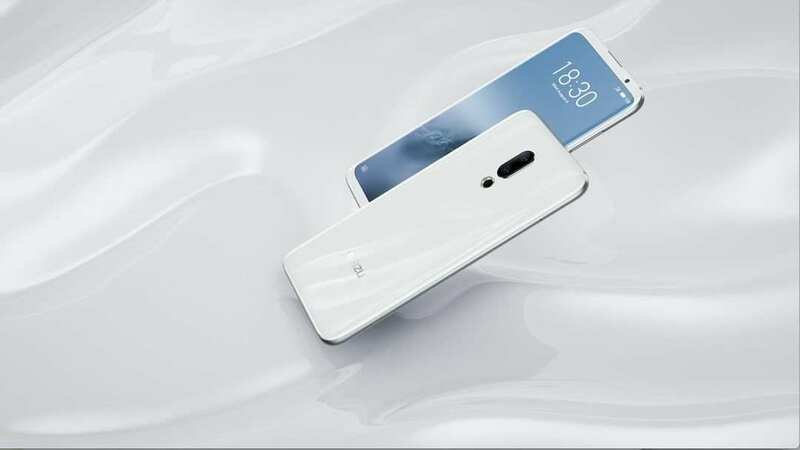 The MIUI version you a version is 9.5.It measures 154.90 x 74.80 x 7.60 (height x width x thickness) in dimension and weighs about 175.00 grams. The phone offers a moderate 3400mah lithium ion battery. The phone pack a powerful Snapdragon 845 octa core CPU that clocks at 2.8 GHz. It does not have any 3.5 mm audio jack. The phone comes with 6 GB of RAM and it has 3 editions for the internal storage-64/128 and 256 GB. It does not have any MicroSD slot and it is to be noted. Oppo Find X is known for its excellent cameras.OPPO Find X has a 25 megapixel front lens and a rear 16 million + 20 megapixel dual lens. The front lens has the addition of 3D structured light technology. Otherwise ,Oppo Find X is an unique frameless design from top to bottom. The bottom part seems larger because the OLED display connects to the motherboard. The display is only about 6.4 inches tall, it may not be as big as Mi mix 2S. The phone has 25-megapixel camera on the front side and on the back you will find 16 + 20 megapixels camera respectively. Please note that the OPPO Find X does not have a fingerprint scanner but you will have the 3D face scanner which will unlock the phone in as quick as 0.5 seconds. The camera on the back is also interesting and it will pop up and hide itself that you will. The phone doesn’t have a notch and is completely bezels. The display occupies about 94% on the front side, making it one of the most frameless design in the world. There’s no 3.5-millimeter jack, you will have to plug in headphones to the USB port at the bottom. It has a resolution of about 1080 x 2340 pixels in 19.5:9 format MAh 3730 mAh battery is used here with a support for quick charge technology. In order to extend the memory, you do not have any card slot. 128 GB and 256 GB are the two memory options and he will have 8GB of RAM. Face ID, The processor used here is Snapdragon 845 coupled with the OS Android 8.1 Oreo. Oppo has 156.7 x 74.2 x 9.4 mm as its dimension and it weighs about 186 grams. The Asus Zenfone 5Z (ZS620KL) smartphone released in 2018.The camera of the Asus Zenfone 5Z is equipped with autofocus. Autofocus is a camera function that tunes the focus of the camera, it is a good feature of this smartphone. The rear camera has optical image stabilization (OIS) to counteract the movement of the camera. It is run by the Qualcomm Snapdragon 845 chipset, 4 GB of RAM and 64 GB of internal storage.It has a IPS screen of 6.2 inches with resolution of 1080 x 2246 px.Zenfone 5Z is 3G and 4G capable. This smartphone has a built-in GPS receiver. GPS is a satellite navigation system that allows the determination of the exact geographic location on Earth. The Zenfone 5Z comes with near field communications (NFC) functionality to transfer content with other NFC enabled devices.The non-removable Li-Po 3300 mAh battery gives the smartphone a good backup battery.